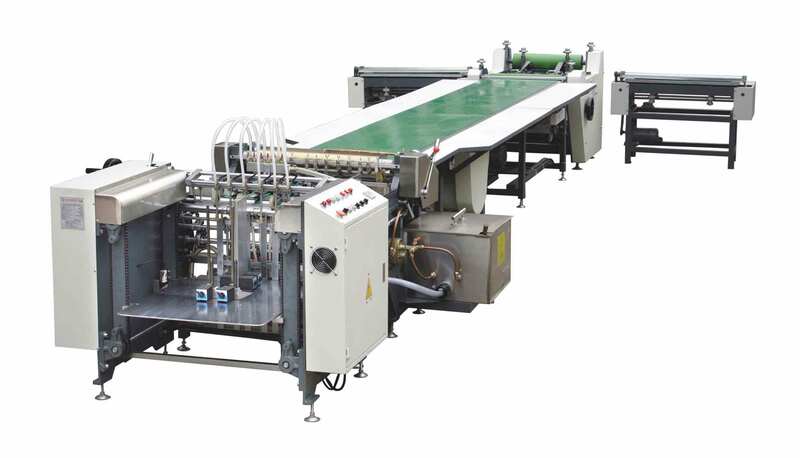 Semi-automatic bookcase making line is composed of 3 types of small machines. 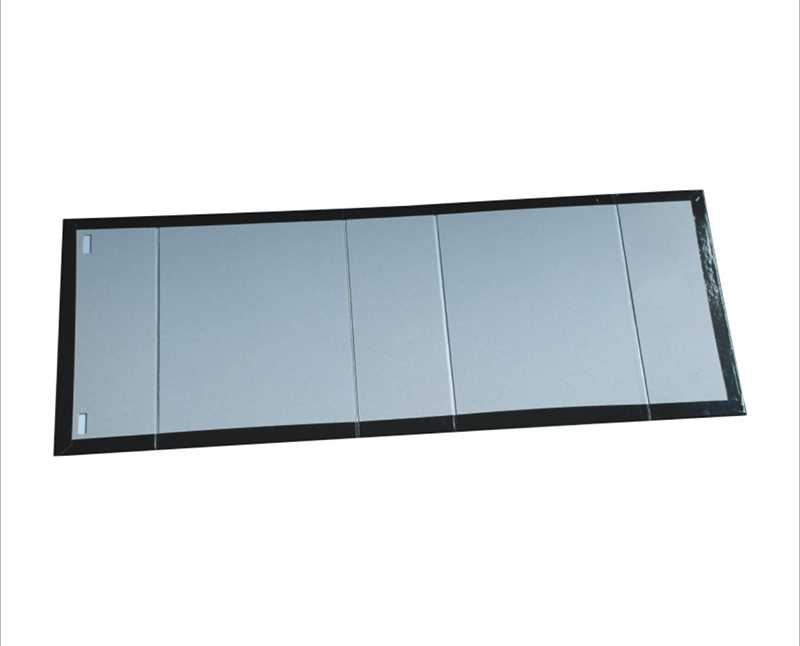 They are all of quick speed, high product quality, and simple operation. 1. Cover paper is fed and glued automatically by the HM-650A Automatic Gluing Machine. 2. One operator places each piece of greyboard onto the coverpaper. 4. An operator picks this hard cover up and folds the rest two short edges with HM-800. 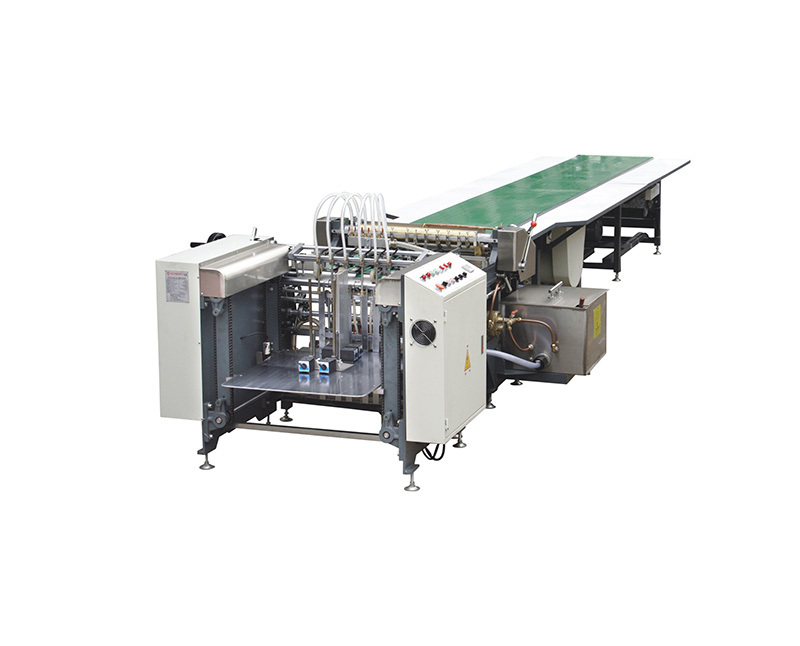 *Automatic gluing machine is suitable for feeding and gluing the paper which is for making book cover, rigid box, set up box, etc. *It has the function of automatic feeding paper and gluing, automatic temperature control and 24-hours timer. 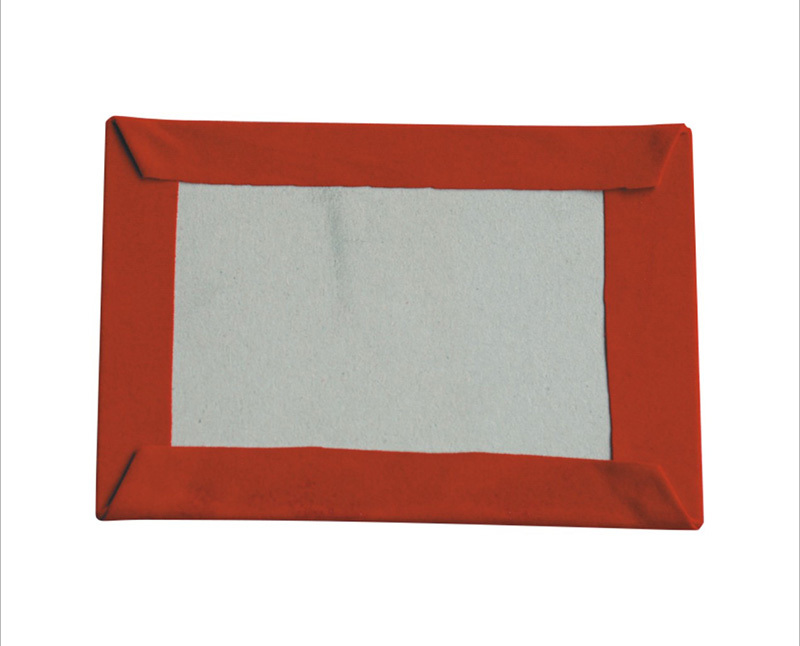 *The draft fan under the assembly lines prevents cover paper from curling and bubbling. *Feeder absorption and feed are applied, which contribute to the characteristic of steady and quick paper conveyance. *Hot melt adhesives (animal adhesives) are used for health and environmental protection, and they also save cost because of the recycle system and the adjustable speeds. *HM-600C Double-side Folding-in Machine is mainly used to fold two long sides of the bookcase coverpaper. The coverpaper is bended by the rolling belts while the bookcase is moving forward. 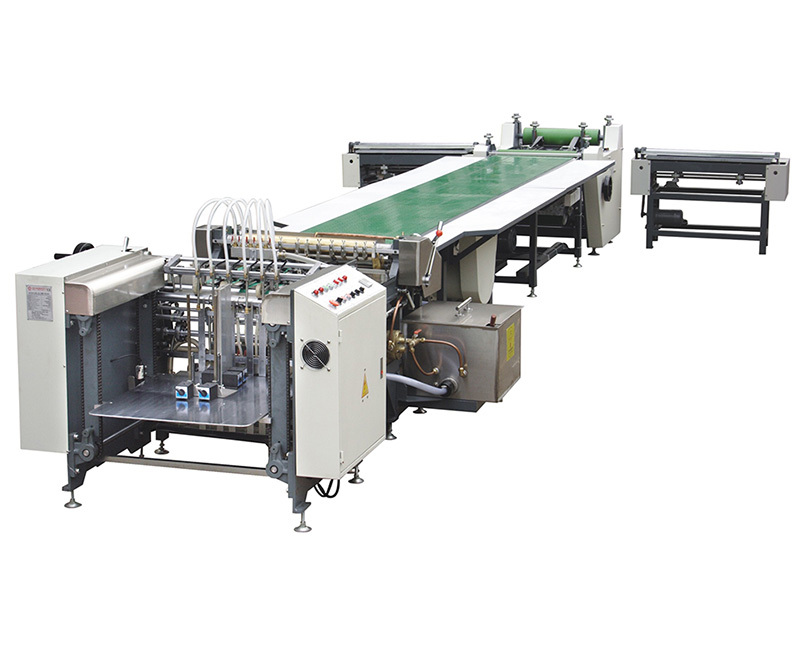 *HM-600C Double-sided Edge Folding Machine has superior quality and reasonable price, and is suitable for all book cover. *This is one part of Semi-automatic Case Maker, mainly for long-side cover folding. 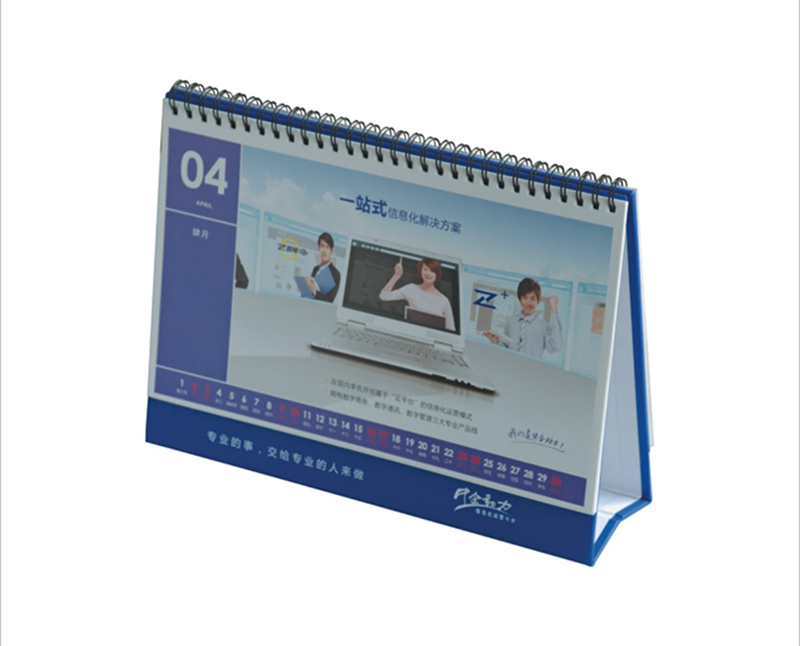 It would be better match with Gluing Machine( Such as our item HM-650A, HM-650B, HM-650C). *Besides, this machine could also press the folded edges with rubble rollers and avoid scratching on the paper. 2, fix the cardboard to the glued cover paper by hand. 3, the fixed unit will be conveyed to HM-600C where the tow long sides will be folded at one time. *Similar with HM-600C, but only can process one edge each time and needs an operator to hold the hard cover.